Ann challenged us to create a gothic arch and use a touch of red. This piece is inspired by the work of Vickie Newfield. 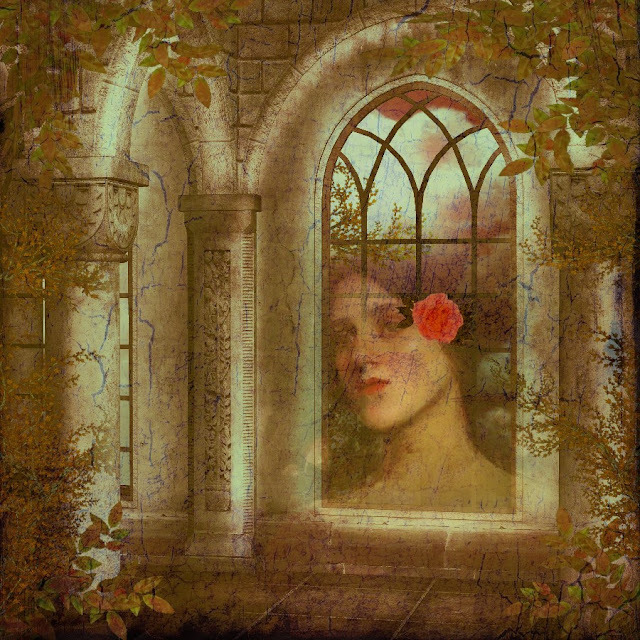 I've used various googled images, a John William Waterhouse lady, and a crackle overlay. Thanks for stopping by! You have read this article with the title Three Muses - Gothic Arch. You can bookmark this page URL http://digital-whisper.blogspot.com/2012/12/three-muses-gothic-arch.html. Thanks! 3 comment for "Three Muses - Gothic Arch"